.vip is a TLD delegated in ICANN's New gTLD Program. After an ICANN auction that occurred in September 2014, Top Level Domain Holdings (TLDH) became the only applicant for the TLD. DotVIP was delegated to the Root Zone 25 November 2015. 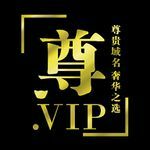 Intended Use: .vip is a new generic top-level domain targeted to individulas, international brands, exclusive clubs and members, and loyalty programs. Top Level Domain Holdings Ltd. - .vip is one of 68 applications that Top Level Domain Holdings Ltd. has filed for on its own behalf. This applicant submitted a Public Interest Commitment, which can be downloaded here. Donuts (John Corner, LLC), one of 307 TLDs applied for by the company. This applicant submitted a Public Interest Commitment, which can be downloaded here. An official Legal Rights Objection was filed by the applicant I-Registry Ltd.., against all fellow applicants. In one of the first few public ICANN auctions to occur for the New gTLD Program that officially launched in 2012, TLDH won the rights to the string over the other applicants, who withdrew their applications as a result. The auction occurred 17 September 2014, along with two other ICANN auctions for .buy and .tech. The winning price was $3,000,888 US Dollars. Unlike Private auctions, the winning price will not be split among the losing applicants, but will be held by ICANN and used towards a non-profit charity that is yet to be clarified. This page was last edited on 17 November 2017, at 21:47.